TheToyShop.com recently put up a listing on it’s site for the upcoming Elite Rapidstrike CS-18. It’s release date is listed as “coming soon.” It also has a small product description. 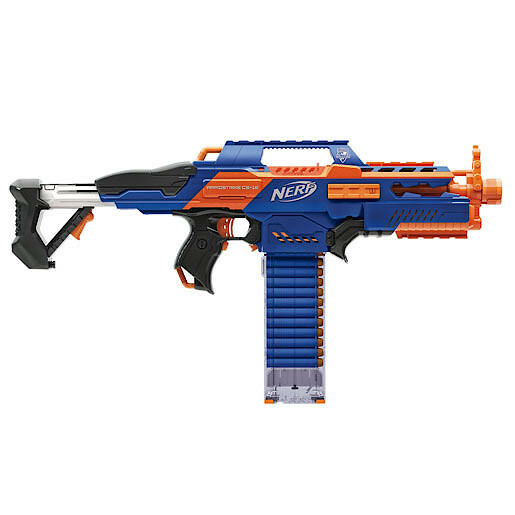 Send your rivals running for cover with the Nerf N-Strike Elite Rapidstrike Blaster. This beast of a blaster can hold up to 18 Elite darts and fires up to 75 feet. 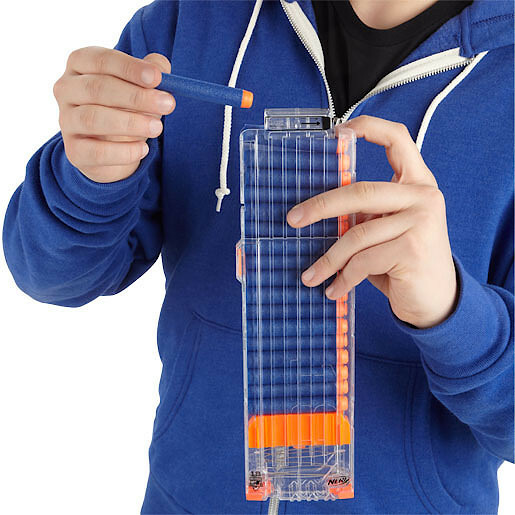 The acceleration trigger powers up the motor for rapid shooting while the see-through clip lets you do instant ammo checks – hold down the trigger and unleash a storm of darts at your target! You can also add most N-Strike accessories (sold separately) to the tactical rail and customise it for any mission. 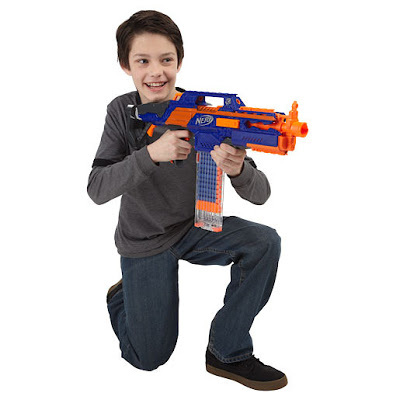 The Nerf Rapidstrike needs 4 x C batteries (not included) and is suitable for kids aged eight and up. Along with the image above, they also put up two new ones. Check out TheToyShop.com listing here. And thanks to UK Nerf for the heads up. please come on amazon soon! An Amazon listing would be lovely, I agree.